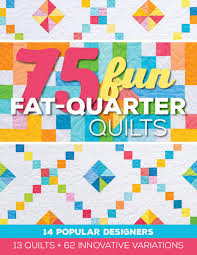 I maintain a Wish List of quilty related items. 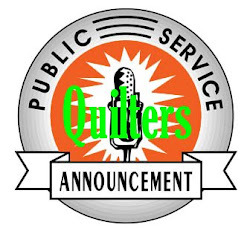 When I see something online, whether it be a new tool to try out, a template or ruler that looks promising, a quilt pattern I just have to have or a fabric that is destined to join my stash, I save a picture of it in my Wish List folder. A few times a year I peruse those images, namely when it is nearing my birthday, Christmas, Mother's Day or some other occasion when I know that I'll be getting goodies either for myself or from someone else. Believe me when I say that hubby loves it when I'm able to provide him with a list of things that I really want. 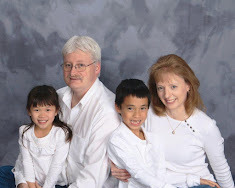 It makes his shopping for gifts for me so much easier and he has learned my quilty tastes over the years, so much that now he usually picks out some fun things for me that are not on the list. My birthday is on the horizon, despite what my Facebook page says. No I was not born in January but I don't like to put that real information out on the web for all to see. There is way too much hacking and identity stuff going on these days. Let's just say that my birthday is in the early Fall. Those close to me know the read date. Anywho...this morning I took a look at what pictures I have saved and I decided to share with you what I'm hoping to have soon. 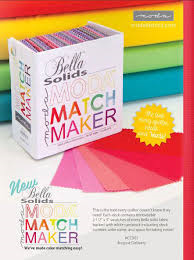 Have you heard about the Moda Match maker yet? This is so cool and I really want one. It has a 2 1/2" x 5' swatch of every single Bella solid which are removable so you can work with them however you want to. In addition they are backed with white card stock with the stock numbers so you can easily keep track of which is which. I got sticker shock at the price so I'm hoping that some shops will put it on sale at some point once they are available. 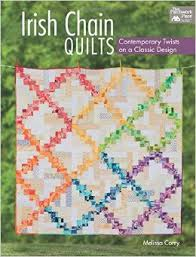 I love Irish Chain quilts and with the peaks Melissa has shared on her blog of the quilts in this, I'm sure that it is a must have for my bookshelf. I just read about this new book yesterday morning and it looks promising. I have a few FQ bundles that I have yet to figure out what to do with and so I'm very interested in checking this new book out. Last on my current book list is this one from Jessica Schick. Though my longarm machine doesn't have a computer attached, I could print out the designs on paper at hub's office and use them like pantographs. I hope to get a peak inside this book soon. So you are probably wondering about the fabric lines on my wish list. Of course there are a few and I'll be happy to show you what has caught my eye. First up is Spring Bloom by Amanda Caronia for Windham Fabrics. I love the bright colors of this line (No surprise there, right?) and the prints are pretty. It came out in April so I can still get my hands on it. Now to decide how much to buy. Next up is this Grape bundle of Michael Miller's Fiesta. 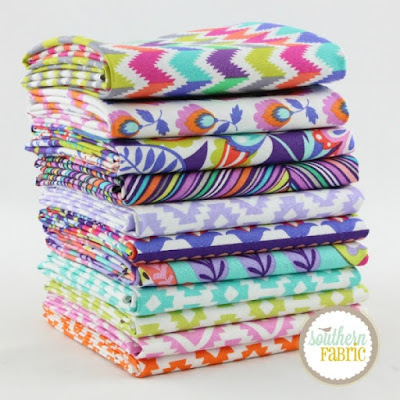 In looking to find a pretty picture of this to show you, I saw that Southern Fabric has the FQ bundle on sale so it immediately went into my cart and is now on its way. Happy early Birthday to me! 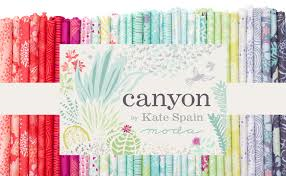 Of course, Kate Spain's newest line Canyon is on my Wish List. I'm working on a cool pattern for not 1 but 2 quilts made with one jelly roll plus some other fabrics and hope to be able to create them with this fabric line. I think you are going to love them. And that is it my friends. Usually when quilt market reports start being posted, I end up with a lot of pictures in my Wish List folder of goodies I want to own but over the past 2 markets, I just haven't seen much that I've been excited about. Now don't get me wrong, there are some lovely fabric lines that have recently come out or are due to come out soon, but since I'm only purchasing fabrics that make me shout "Oh Wow" when I see it, I haven't had that reaction to many new lines over the past year or so. There are certain designers that many people just love who I will refrain to name (so as to not get blasted by the lovers of those designers) but other than a few select prints from those designers, they just aren't my cup of tea. And anything with critters on it, being deer, raccoons, foxes, octopus, unicorns, whatever....forget it. Unless I'm making a gift for someone that has a love of a particular creature, I'm not buying any of it. 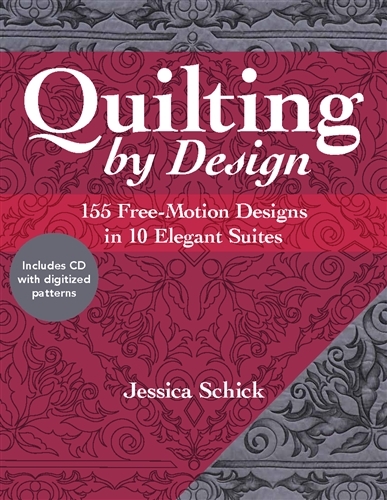 I've found over the last couple of years, as I've tried to trim down my fabric purchases so that I can concentrate more on using the pretty ones that I already own and keep some money in my wallet at the same time, that my tastes have narrowed and I don't need to own every fabric line out there. By only focusing on the ones that knock my socks off, I'm much happier when they are finally in my hands and I'm excited to play with them. There will always be more new fabric lines coming out and I for one am not going to give into the philosophy that whomever has the biggest stash wins. I'm not out to win any contest. I just want to make things that make me happy. 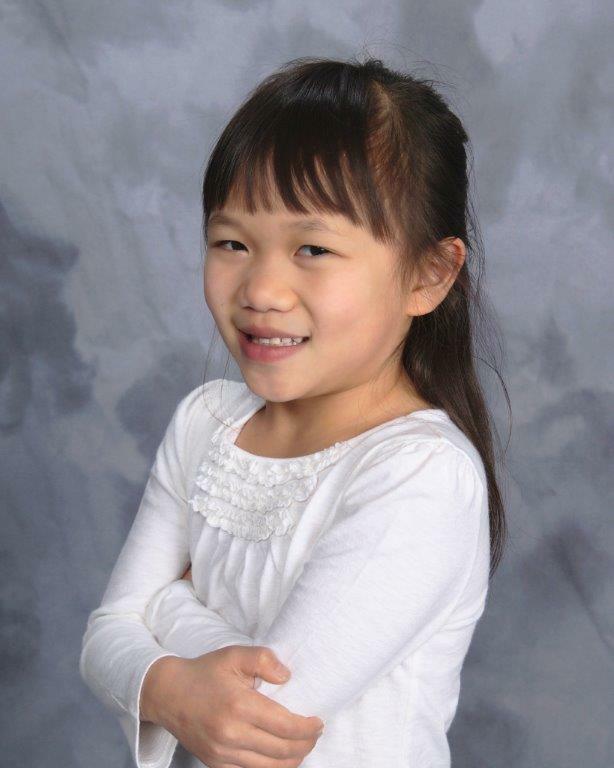 Happy Birthday coming up! It fun to see what you're liking right now. 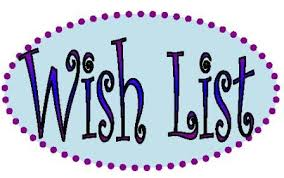 That is a great idea to keep a wish list folder! I don't seem to buy as much as I used to either. I do love taking online classes or buy videos so I can always keep learning. I think I really like batiks so much because they never go out of style and are perfect to add with my other fabrics. My buying is more along the lines of needed binding/finishing fabrics, a backing piece or thread (that seems to disappear rather rapidly in my little corner of the world!!!!)!. Early Birthday Wishes comin' at ya!!!!!!!!!!!! 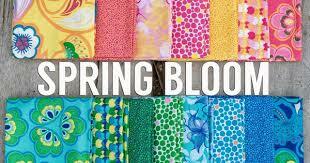 I love the Spring Bloom and the Kate Spain fabrics. Wonder if they've made it to the UK yet? 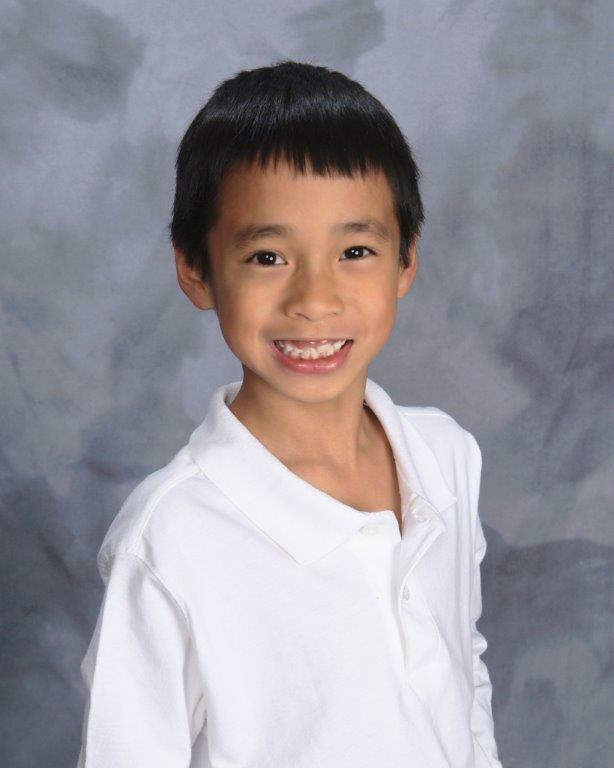 Happy soon-to-be-birthday.